Are there things I can do nutrition-wise that will help promote better sleep habits? I have started doing the Paleo diet but I need to gain about five pounds so what can I do to gain weight? I’ve only been on Paleo about 3 weeks and haven’t lost anymore weight, but I am underweight so really need to gain about 4-5 pounds. High-glycemic-index carbohydrate meals shorten sleep onset. Thanks to Amy Berger of www.tuitnutrition.com for volunteering to transcribe this episode! LAURA: Hi everyone, welcome to this week’s episode of Ask the RD. I’m Laura; I’m a graduate student at UNC Chapel Hill, studying public health and nutrition and I’ll have my RD at the end of 2013. LAURA: Thanks for joining us for this week’s Ask the RD podcast. We’re excited to be here and hope you enjoy learning about nutrition-related topics. Remember to submit your nutrition-related questions through the online submission form, which we’ve linked to on Chris’s site. And we’ll be answering as many of your questions as we can on the show, so feel free to submit as many as you’d like. And as a reminder to everyone, this is just general advice and should not be used in place of medical advice from a licensed professional. So, you ready to get started with our podcast, Kelsey? KELSEY: Absolutely. So the first question is for you, Laura. KELSEY: Are there things I can do nutrition-wise that will help promote better sleep habits? LAURA: All right. Well, I really like this question because I think sleep habits not only are something that a lot of us need to work on, but they’re also a topic that, if you can get your sleep under control, then it can make a huge difference in your health. So I think doing nutritional strategies to improve your sleep is a really good idea for everyone. And in my opinion, the most important thing in promoting sleep for most people is trying to keep their stress hormones down, which I think is a huge factor that prevents many people from getting to sleep and staying asleep throughout the night. We already have a bunch of environmental or lifestyle factors working against us when it comes to our circadian and cortisol rhythms, such as bright and artificial light at night, not getting enough natural light during the day, exercising too close to bedtime, and simply getting in bed too late. And this is really common for most people. In fact, I’ll admit that I’ve struggled with all of these issues at some point in my life. LAURA: And as you know, Kelsey, recently I was in an internship at a hospital, and I’m pretty sure that clinical dietitians have it written into their contracts that they’re not allowed to have an office with a window, because I was spending about 40 hours a week in complete artificial light from 9 to 5, which really wore me down after a while when I was at the hospital. KELSEY: Same for me. It’s terrible. I would never…well, I shouldn’t say never, but I would not like to work in a hospital ever again, just honestly because of that. I felt so crappy all the time. LAURA: Yeah, I agree. I mean, if I don’t get enough sunlight, I really don’t feel well. And it tends to be a serious issue for me. And I also agree; I don’t think I’d last long in a job where I was stuck in a windowless office all day. It’s kind of depressing, and I really don’t think that it’s healthy to be in that environment for 40 hours a week. LAURA: Anyway, so I’m sure a lot of other people unfortunately have that as an issue. We don’t all have the luxury of working in an office that has nice windows, or getting to eat lunch outside. So these are probably the first things that people need to address if they’re not sleeping well at night, since they can make a huge difference. I know if I watch TV or use the computer too close to bedtime without wearing my orange light goggles that I don’t sleep as well. So if you’re doing that kind of stuff and wondering why you’re not sleeping well, then that’s the first thing you need to address. But this person asked about nutritional factors that can promote sleep, so I’m going to skip over the other lifestyle factors that affect sleep quality and if people want us to talk about that at another time, we can definitely talk about behavioral factors that affect sleep. Chris, obviously in his book, Your Personal Paleo Code (published as The Paleo Cure in December 2014), has written a lot about sleep and a lot about how to improve sleep using various behavioral techniques, so definitely check that out if you’re going to be getting Chris’s book in the end of December of early January, then that’s a great chapter to check out if you’re struggling with sleep. Anyway, so I’m going to talk about the nutritional factors and my first tip for improving sleep using your diet is concentrating your protein in the morning and your carbohydrates at night. That’s pretty much opposite of the way most people eat. The typical American diet is usually something like a big bowl of carbs in the morning—either cereal or oatmeal, or some kind of bread product—and then a massive plate of meat at night. So if you’re trying to promote sleep, you should actually be trying to eat more of your protein in the morning and more of your carbohydrates at night. That might mean eating some meat at breakfast and reducing your portion size of the protein at night. And I know this sounds counterintuitive, but I think a lot of people can remember times where they’ve eaten a huge amount of protein before bed and then ended up tossing and turning all night. I know I’ve been there before, like I’ll go out to dinner and get more meat than I normally eat and have a terrible time sleeping when I get home. KELSEY: Yeah. And I think that’s especially true if it’s really a high-protein meat that doesn’t include a lot of glycine or gelatin. LAURA: Right, right. I can think of times where I’ve gone to sushi and gotten the sashimi, and that’s straight protein, and there were some instances where I just didn’t sleep well that whole night because of it. And granted, that’s an extreme example, but I wouldn’t be surprised if some people that are listening have fairly high protein dinners that they’re not including either gelatin or the fattier cuts of meat as their protein at night. LAURA: Eating more carbohydrates at night can also help prevent a blood sugar drop overnight, which ends up ramping up your stress hormones like cortisol, and this can wake people up if it’s extreme enough. And also, a recent controlled trial showed that carbohydrate-based, high-glycemic index meals resulted in a significant shortening of sleep onset in healthy sleepers compared to a low-GI meal. And this was most effective when consumed four hours before bedtime, which a high-GI or a high glycemic index meal, that’s not necessarily something people are thinking about eating when they’re doing Paleo. But if you’re having trouble sleeping, it might be a good strategy to use if you have maybe a plain sweet potato or even a plain white potato before bed if you’re struggling to stay asleep. And protein, on the other hand, requires a lot of energy to digest and can actually act as a stimulant, which, this is great in the morning, but not so great in the evening. You don’t want your cortisol secretion being stimulated right before bed, and there is some evidence that carbohydrate intake can actually reduce cortisol, especially in people that are already stressed out. So this even goes for people on a very low carbohydrate diet. They should really try to do their best to concentrate any carbohydrates that they’re eating in the evening before bed to help promote sleep. And it’s important to try to not eat too much of anything at night or eat too late before going to bed. There are studies that show that eating in general suppresses melatonin, which is our primary sleep hormone, and there’s also data that suggests that food intake during the nocturnal period is correlated with negative effects on sleep quality of healthy individuals. So ideally, you should try to eat at least two hours before going to bed, if not more than two hours. So this means that if you’re getting in bed at 10 p.m., you really want to try to finish your last meal by 8 p.m.
KELSEY: And I have to bring up the point here too about people who snack at night, because I have a lot of clients that come to me and they’re really healthy eaters, but they’re snacking a ton at night and that might be contributing to their poor sleep habits. LAURA: And that could be a problem that they’re not eating enough during the day. LAURA: Or sometimes people just have that urge to have something sweet at night, which, I’ve been there and I’m probably still there. I usually feel like a little bit of a dessert craving, but the more often you’re giving in to that kind of feeling, the more often you’re going to be eating closer to bedtime, or even waking up and eating something at night. So trying to get a handle on that would be a good idea if you’re struggling to sleep well. And I do think that carbohydrate restriction during the day can actually make that worse, so if you’re eating a super low-carb diet and you’re getting to right before bed and you’re having sweet cravings, it could be that you’re just not eating enough carbohydrate during the day with your food. LAURA: So that’s something to consider, that if you’re waking up and ravenously hungry and you’re on a low-carb diet, you might consider adding some more carbohydrate in during the day just to help keep your blood sugar steady. It could also just mean that you’re just not eating enough, which is also a problem when people start Paleo. Sometimes they just don’t know what to eat so they don’t eat enough food during the day and then they end up hungry right before bed. LAURA: It’s a lot of things could be playing into that. Another issue that affects sleep is drinking too much coffee or having caffeinated beverages or food too close to bedtime. The average half-life of caffeine is five hours, which means that you would still have about one fourth [correction] of the first dose of caffeine rolling around in your system ten hours after you drink it. LAURA: Yeah, and if people are especially caffeine-sensitive, this means that it could potentially linger even longer. So if you’re going to drink coffee or eat caffeinated food—which includes chocolate—make sure you do it before noon and try to limit it to one or two cups of coffee or a small square of chocolate. And if you’re really struggling with sleep, you might actually want to try cutting out caffeine altogether. Like I said, that includes things like chocolate, which can be really problematic if you eat it too close to bedtime. KELSEY: Which a lot of people do. LAURA: It’s usually dessert for a lot of people, and I mean, it’s fine. It’s not a problem to eat chocolate right before bed provided that you’re sleeping well. Again, these recommendations are for people that aren’t sleeping well, and if you have a square of dark chocolate and you fall asleep an hour later, then that’s great. But for me, I can vouch for myself that if I eat…maybe part of it is the moderation issue, because I find it difficult to just eat one square. But even if I eat just one square of dark chocolate, I do feel like it kind of prevents me from falling asleep as quickly as I normally would. So that’s definitely something to consider if you are drinking a lot of coffee during the day or eating chocolate right before bed. It might be something you want to play with cutting out or reducing at a bare minimum. Like we said, sleep is really important, so I think, yeah, it’s nice to be able to eat something like chocolate, but if it’s ruining your sleep, then it’s not worth eating, at least at night. Maybe have it as a lunchtime treat. So there’s also some anecdotal evidence that taking vitamin D supplements in the morning can actually help promote sleep as compared to taking them in the evening. And I believe that this would go for food-based vitamin D as well, such as cod liver oil. I’m not sure if there’s any research to support this theory, but as a concept it does make sense, since your body would only be producing vitamin D during daylight hours. LAURA: And we don’t necessarily know all the roles that the vitamin D hormone plays, and who knows? One of those might actually be regulating our circadian rhythm. And I’ve read other people recommending this, so I’ll go ahead and suggest it as a way for people to improve their sleep. So if you’re taking a vitamin D supplement or taking the fermented cod liver oil, I would suggest taking those supplements in the morning rather than at night. That’s something that Mark Sisson has mentioned, so I’ll link to his article in the show notes about sleep. But like I said, it’s a bit of a theoretical idea, but I don’t think there’s any harm in switching your supplementation to the morning for vitamin D.
One more dietary recommendation that I’ll make is to consume either bone broth or gelatin powder in the evening to promote sleep. And this is because the glycine in gelatin can actually help improve sleep ease and quality, particularly in people with insomnia. And there’s a really good study that I’ll link to in the show notes that explains how glycine actually can promote the onset of sleep. And as we know, our diets are relatively deficient in glycine unless we’re eating a lot of animal skin or meat off the bone, and drinking lots of bone broths, which some of our listeners actually are, and I think that’s great, but I think that probably the majority of people are not eating as much skin and bone broth that maybe they should be eating. KELSEY: Yeah, and I think especially probably beginner Paleo people. KELSEY: Y’know, it’s just not something you focus on in the beginning. You’re just focusing on making better food choices overall. LAURA: Right. I feel like everyone can always improve what they’re doing, so don’t feel like if you’re a beginner that you’re not doing things right because all you’ve done is cut out wheat or something like that. There’s very small steps that you need to take to get to an optimal diet, but one of those steps is the increase of glycine-containing foods. So an easy way to do this is to just eat the skin on the animal that you’re eating. So don’t throw away chicken skin and sometimes you can get skin-on pork products or that kind of stuff, so that’s a great idea to eat that kind of food. If you’re struggling with the concept of including those kinds of foods in your diet—which I totally understand if you’ve come from a vegetarian background, it’s difficult to start eating those kinds of foods—so a good way to increase your glycine intake is just to use gelatin powder. And I can also link to some gelatin products in the show notes as well, but they have powders that not only mix into hot beverages or hot liquids but can also be mixed into cold stuff. So say you have a morning smoothie—you can just pour in some of the…hydrolyzed gelatin is something that can be mixed into cold foods. So if you’re really averse to eating things like bone broth or skin-on, meat on the bone animal foods, then adding gelatin to your food is a little bit more basic way of getting those important amino acids. KELSEY: Yeah, and you can add gelatin to bone broth too, like if your bone broth didn’t gel very well, that’s another good place to use it if you are making bone broth already. Just give it a little bit of extra. LAURA: Yeah, or even if it did gel, there’s really no down side to adding a little more gelatin. LAURA: I mean, gelatin’s got so many different benefits, including gut healing, and it helps balance the thiamine intake, so even if you’re not struggling with sleep, Kelsey and I would totally recommend including these foods in your diet. But if you are struggling with sleep, I think it’s one of those things that you definitely need to work on improving—or including, I’m sorry, not improving, because you might already be doing it! But just make sure you’re getting some form of glycine in your diet if you’re struggling with sleep. I’m sure there are other ways to promote sleep using nutrition, but I think these are the big hitters that most people could probably find a way to include in their routine, and generally these will help with overall health anyway, so even if you’re not struggling with sleep they might be a good habit to get into. And getting good quality sleep is something that I personally struggle with for a variety of reasons, including getting inadequate natural light during the day and sometimes I drink too much coffee at inappropriate times. I definitely have meals where I’m eating too much protein at night, and some days I go to the gym way too late and I know there’s a lot of people out there that have these same issues, so we can all work on them together. KELSEY: Yeah, so definitely if you have other ideas or things that have helped you, please mention them in the comments because we’d love to hear them. LAURA: Yeah, definitely. And if any of these recommendations have helped you, say you’ve already started eating carbs at night, or you’ve added bone broth to your evening routine, then let us know if that actually has helped, because a lot of this stuff is based on research, but again, research doesn’t trump personal experience. So if you’ve found a way to promote sleep or you’ve tried one of these tips and it helped you, then let us know and hopefully you can help other listeners with their sleep adequacy and all that. LAURA: Cool! Well, that’s all I had to say about sleep. And like I said, if people want us to talk about the behavioral impacts of your daily routine on your sleep habits, then we can talk about that at some point. But Chris’s book does go into detail about it, so if you guys are okay with waiting for a few weeks, maybe almost a month, then you can get the book and read all about it from Chris, himself. LAURA: Yeah, definitely. I mean, you and I both have the book and we’ve been reading it for the last couple of months and there are so many good tips in there. KELSEY: You guys are gonna love it. LAURA: Yeah, definitely. All right, well, I guess Kelsey, we’re ready to ask your question. LAURA: So this is from one of the reader’s submissions. I have started doing the Paleo diet but I need to gain about five pounds, so what can I do to gain weight? I’ve only been on Paleo about three weeks and I haven’t lost any more weight, but I’m underweight, so I really need to gain about four to five pounds. KELSEY: Great question! I think a lot of people come to Paleo looking to lose weight, so we tend to hear about that more often. But there are people out there who actually need to gain weight, so thank you for bringing up a really important question. This isn’t the only question we’ve received about gaining weight while eating Paleo, so we’ll cover this topic pretty broadly just to help answer any of the other questions out there about gaining weight. First, I think it’s really important to make sure you’re not skimping on carbohydrates or fat. Working with clients, honestly, these are the two that I see people cut down on the most, especially when they’re new to Paleo, which it sounds like this listener is. So when you’re coming from a standard American diet, you’re likely to be eating a carb-filled, low-fat diet, and when you first switch to Paleo, you’ve probably read about how carbohydrates are bad, so you’ve basically cut these all out of your diet for the most part. And you know that protein is good, so you eat lots of meat. And your plate is basically beef or chicken plus non-starchy vegetables. Now, for many people, that can be useful because they’re losing weight and that’s what they’re trying to go for. And they’ll feel good for a while. So that’s great. But for those that are trying to gain weight, this strategy probably won’t work right from the get-go. It tends to be low in calories just by the nature of the foods involved, which is why it works for weight loss, but for someone trying to gain weight, it’s not going to cut it. Instead, you’ll want to maximize your calories by making sure you’re eating enough carbohydrates and fats. So since many people who are coming from a standard American diet aren’t used to eating fat, they don’t necessarily make an effort to make sure that now that they know fat is okay, that it’s incorporated into their diet. So they might start cooking with some coconut oil or ghee, but they’re not going for the fatty cuts of meat or adding fats to their meals. And this is definitely something that someone trying to gain weight should absolutely do. So go for the fatty cuts of meat and add fats to your meals. That would mean going for ground beef with lots of fat in it—at least an 80/20 split. I believe that U.S. Wellness Meats actually offers a ground beef with an even higher percentage of fat if you’re interested in that, too. And going for steak cuts like maybe the ribeye and the T-bone, which not only taste delicious, but are really, really high in fat, too. So you may also want to add fat to your meals. So that could mean topping your veggies with extra butter or coconut oil, or adding avocado to your burger, Also, your snacks can be a great source of fat, so eating things like nuts or coconut chips, y’know, both of those are full of fat and can be a really excellent source of it. Now, along with increasing your fat, you’ll also really want to increase your carbohydrate intake, too. And that’s especially if you started off on a low-carbohydrate Paleo-type plan. So the key here is to include lots of starchy veggies and some things like white rice and buckwheat on occasion if you progress that far into Paleo that you know you tolerate those well—while still avoiding the grains that we know to be detrimental. Balanced Bites actually has a great Paleo carbohydrate guide that I’ll link to so you can get some ideas on how to increase your carbohydrate intake. So, of course this may not work for you if you have blood sugar issues or another problem that prevents you from tolerating lots of carbohydrates, or if you’re FODMAP intolerant and you can’t tolerate much fruit. But if you’re generally healthy, it’s a good idea to increase your carbohydrate intake along with the fat to really maximize that caloric intake and help you to gain weight. Now, thinking about this also in terms of just maximizing those calories, it’s a really great idea to incorporate snacks into your day and perhaps go for smaller, more frequent meals. For a lot of people, y’know, they just can’t eat a ton at one meal, so breaking up the meals into multiple parts usually allows them to get in more food during the day than if they just are three square meals a day. If nothing else, just adding snacks between your meals can help to increase your caloric intake as well. So basically, when I’m working with someone who’s trying to gain weight, I think of the opposite strategies for someone that’s trying to lose weight. LAURA: Right, right. That’s what I was thinking, too. Let’s think about what you would do to lose weight and just do the opposite. KELSEY: Exactly! 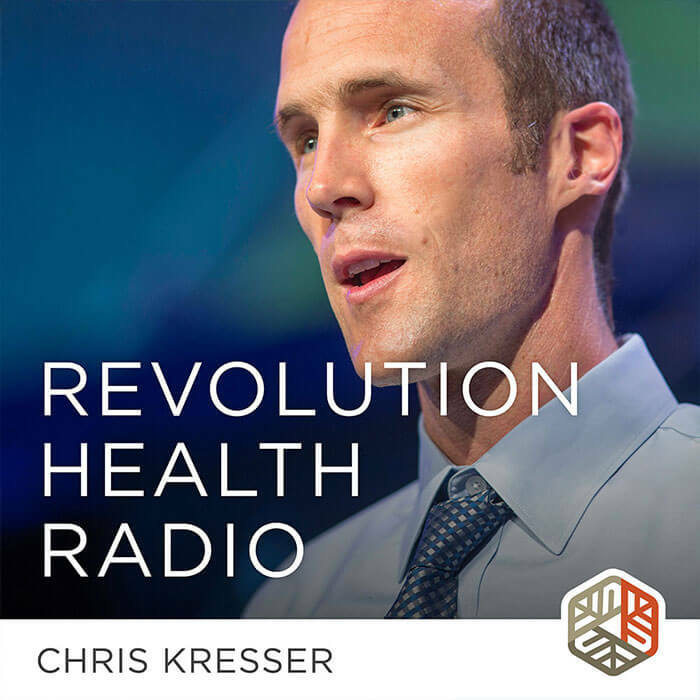 So one of the more advanced weight loss techniques that Chris has talked about in the past is to lower the palatability of food, which usually effortlessly lets patients reduce their caloric intake without even thinking about it. So if you flip this around, increasing food reward can help to increase caloric intake without you even thinking about it. So you want to be adding lots of spices and fat to your food, and combining carbohydrates and fats to increase that food reward value as much as possible, which is exactly the opposite of what we do when someone’s trying to lose weight. And another tactic is to use liquid foods a lot, like smoothies and drinks made from coconut milk, which has a lot of calories. And I’ll link to some information about food reward by Stephan Guyenet, because he’s the guy to go to about all this food reward stuff. And basically what you’ll want to do is read those articles in which he talks about food reward in relation to weight loss and basically switch those tactics like we just talked about. So try increasing your food reward value versus lowering it. So I think these strategies can be really, really helpful for gaining weight, and I’ve found them to be helpful in patients that I’ve worked with. So give them a shot and let us know how they work out for you and if you have any other tips that have worked really well for you as well. LAURA: Yeah, I think the carb and fat combo is kind of like the best thing for people to do, just based on what you were saying about food reward hypothesis, and then also just the way that…not only are you getting a big hit of calories, but with that carbohydrate intake, you’re also getting a decent amount of insulin release, which is required to help those calories get into the cells and get into the fat tissue and also get into muscle tissue. So if you’re not eating them together, you might not be getting the same weight gain benefits as say, if you’re eating carbohydrates at one meal and then eating a really high-fat, low-carb meal at another time. KELSEY: Right. Because, yeah, including carbohydrates with fat, just think about it. Like a sweet potato with a ton of butter on it, forget about it. You’re gonna eat that whole thing. LAURA: Yeah, maybe even throw some maple syrup on there if you’re interested. And then also just, I think with weight gain, sometimes when you think about exercise as well, make sure you’re not doing any really high intensity exercise as far as…I mean, maybe Crossfit would be okay. I feel like if people are really struggling to gain weight, they should probably try to minimize the amount of intense cardio and that kind of stuff. But as far as weightlifting and all that, I think that’s a great type of exercise to include if you’re trying to put weight on and not drop weight. Obviously, not everyone’s going to lose weight doing Crossfit or doing high intensity intervals, or running, or doing lots of walking, but I do think that for those people who are struggling to gain weight, they really need to pay attention to what kind of exercise they’re doing and not do exercises that are either going to be catabolic—like running is a super catabolic exercise. Definitely avoid that kind of stuff, which, I feel like if someone’s trying to gain weight they’re probably not going to be doing lots of long-distance running, but you never know. KELSEY: Honestly, I think that usually the exercise alterations that need to be made tend to be more therapeutic, so it’s a short-term thing. So as soon as you gain weight, you can kind of keep the food side of things. And for example, if you love running, you could go back to that as long as you make sure you’re keeping your calories pretty high to fuel that activity once you’re at a normalized weight. LAURA: I do think that if people want to try to gain weight, that at least taking a break from that kind of cardio exercise is a good idea. It’s really just dependent on what your goals are and why you’re trying to gain weight. If someone’s trying to gain weight because they have Crohn’s disease and they’re having a horrible time absorbing nutrients, and other times, it’s a sixteen year old kid in high school that is trying to just bulk up because he wants to be bigger. So it’s really very dependent on what the person’s reason for wanting to gain weight is. But I think that generally, there’s some pretty standard guidelines that can help people with weight gain. And if the issue is something like Crohn’s disease, or ulcerative colitis, or celiac or something like that, then being a little bit more conscious about the quality of the food you’re eating, making sure you’re not including any gluten and getting rid of those inflammatory foods that can prevent adequate absorption of nutrients from your food, that’s really important to pay attention to. And working on healing the gut, if that is your issue, is another way that you can help improve weight gain eventually. KELSEY: Right, and probably in that case, a little bit more important, because you could be eating all this stuff, but if your absorption capabilities are really poor, it’s not going to make much of a difference. LAURA: And obviously, the gut healing protocols can end up being fairly restrictive, so it can be challenging to get enough calories on those diets. KELSEY: Yeah, and I have to say that if that’s you and you’re dealing with a really severe digestive condition and you need to gain weight, it’s probably a good idea to work with someone who’s familiar with your condition and nutrition, obviously, to help you find that balance of getting enough calories, but also not irritating an already inflamed digestive system. LAURA: And I think that especially in these cases, keeping a food diary for a couple of days and just tracking how many calories you’re taking in on a regular basis is really important. Like we were saying, on these really restrictive gut healing protocols, a lot of times I don’t think people realize how limited their calorie intake can get on these diets, depending on what you’re eating. So tracking your food intake and just keeping an eye on how many calories you’re taking in is helpful, because you might not realize how low calorie you’re eating. Maybe you’re eating a decent amount of calories but you might want to try bumping it up a couple hundred every day just to see what happens. LAURA: Definitely tracking what you’re doing and being aware of what you’re eating on a regular basis can be helpful for people that do have these more problematic gut conditions that are going to need a different diet than, like I said, that sixteen year old that just wants to put on some muscle mass. KELSEY: Yeah. The tips I’ve given here today are more for someone who has at least decent digestive capabilities. Again, you’ll have to kind of finagle things a little bit if you are FODMAP intolerant or if you have blood sugar issues. But for someone who’s generally healthy who tends to be lower weight—which, I have to say, is the kind of people that I’ll tend to get in my practice—it’s just that there’s nothing really wrong, it’s just that they have kind of always been underweight, and especially going to Paleo, they’re worried about losing more weight since that tends to be a side effect for many people. LAURA: And like we said, a lot of that can just be that you’re not eating enough carbohydrate, you’re not eating the fatty cuts of meat. LAURA: So there’s definitely a lot of things people can do. And again, these are general guidelines for our listeners, and as Kelsey mentioned, if you’re struggling with weight gain and you’re kind of sick for a variety of reasons, like I said, the digestive diseases or say you have Hashimoto’s thyroiditis, or any of these conditions, you might really benefit from working with someone who can help tailor the diet to fit your needs, because what might help some healthy person gain weight is not necessarily going to help you gain weight. LAURA: As always, these are general recommendations, so we’re doing our best to give good tips for all of our listeners, but at the end of the day, diet is one of those things that really does take a level of individualization for optimal results. Was there anything else you wanted to add about weight gain or do you think we covered it? KELSEY: No, I think that’s it. LAURA: Cool. Well, I think this will be a little bit of a shorter podcast today. I guess we’re around thirty minutes. KELSEY: Which is probably what we should aim for. LAURA: Yeah, obviously some people like longer ones, other people like shorter ones. But if you have some feedback for us, just feel free to leave it in the comments. We want it to be constructive feedback, because we want to make this a helpful podcast for you. Y’know, there’s a few things that are not options necessarily for us to do all the time, so if you have any recommendations or ideas about how we can make it better, let us know. Also, we would love, if you are enjoying the podcast, if you could leave a review on iTunes, that would be great because that’ll help more people find this information. But anyway, that’s all for us this week, and thanks for joining us on this episode of Ask the RD, We hope you enjoyed the show, and as a reminder, you can submit your nutrition-related questions through the link that we’ve attached on Chris’s website, and who knows—maybe we’ll answer your question on the next show. Have a great week everyone, and we’ll see you around next time. I would love to get specific recommendations on the amount of powdered beef gelatin to take and the best way to mix. Do I start with cold water and then hot to ensure the gelatin dissolves? How many Tbsp? That’s the best technique for ensuring good consistency. You can really take as much gelatin as you want. I’d say 1-2 tbs is a good starting point. I actually gained weight while doing paleo with very few (vegetables) carbs and am losing now while eating a lot of carbs (fruit, rice and other non-gluten grains, few potatoes, some alcohol). Maybe it was the amount of fat I was eating? Great podcast and useful information! But I am bit confused on the second question. I understand the points mentioned, but it seems like it was said that if I eat fat and carbs together I’ll gain weight? (Let’s assume I’m eating at maintenance calorie needs for bodyweights needs–I’m an intense regular exerciser). I try to eat a balance of good fats with a moderate amount of carbs and a lot of protein at meals. I’d like to build muscle but don’t want to gain excess fat. Should I avoid pairing fat and carbs? Or does including the protein as well help prevent that? Thank you for covering weight gain on the Paleo Diet. I will try your recommendations and see what happens. Surely an underweight person wants to gain weight by putting on muscle, rather than increasing carbs and fat intake, which presumably will just lead to increased body fat. So, a few questions, which are not covered in the podcast. 1. Is the goal here to increase weight by adding body fat or muscle, or doesn’t it matter? 2. Will increasing carb and fat intake lead to muscle gain? 3. If the weight gain is not coming from increased muscle mass, won’t an underweight person just become a skinny-fat person with normal weight? I have a question about the chicken skin recommendation: what about omega 6 content? Is that an issue here? I always feel that I haven’t reduced my omega 6s enough, because I like nuts and dark meat chicken and pork fat and eggs . . I think Chris Masterjohn has an article about different animal feeds and how they affect the omega 6 content, but even the organic pastured chickens where I live are raised on soy. When dealing with adrenal fatigue, I read about a possible spike in cortisol about 11PM, and since then I’ve found it beneficial for me to have lights out by 10:30PM so my body doesn’t get the message that I’m staying up and therefore I require a boost of cortisol. Otherwise I’ve had good luck with a bit of raw honey and cheap blue-light-reducing glasses and/or Twilight (Android) and/or f.lux (Mac) starting at least an hour before bed as you or as other commenters mention. I’ve send in a feedback request for Apple to introduce something like this for iOS. I’ll aim for bone broth in the evening rather than the afternoon. Never heard about that one. I too have been taking Vitamin D at night! I’ve been splitting my doses because I have low D, but now it’s breakfast time for me. A teaspoon of honey does work really well (if it’s raw organic), but it kicked up my Candida. Sigh. Supposedly Raw Unpasteurized Honey does not feed candida. Let us know how it goes, Tania! Yeah, I definitely recommend the honey – you can actually oversleep on it. Ties in with liver glycogen repletion and suppression of cortisol. I also use epsom salt spray. Not perfect, but the combination is a pretty good guarantee of sound sleep. For a chronic insomniac it’s pure gold. Sry, was replying to the comment above. Maybe this is anecdotal, but I’ve heard honey before bed helps sleep. Sorry for another post – keep thinking about these things one by one. Any herbs or particular foods to stimulate appetite before a meal? Also, please link to Stephan G.’s (?) articles on food reward. Thanks!!! Thanks for the heads-up Mikayla, I added the links. Also, bitters are used to stimulate appetite and digestion. I like Urban Moonshine bitters, especially the Maple flavor. Sorry, I meant “Balanced Bites” link. Would be great to get that. Also, any recommendations for insulin-dependent diabetics that need to gain weight? I know I have to increase safe carbs, but how to do it without causing big blood sugar spikes is the issue. Look into resistant starch. It will mute the post-prandial glucose effect. These are great shows. Any chance of getting a feed on itunes? I’m not sure how quickly it gets updated, since the current episode isn’t on there as of 1:30pm EST on Monday! You mentioned a Bounce (?) guide to paleo carb intake? Could you provide a link for that?